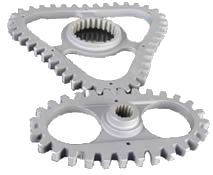 Gear Manufacturing Inc. specializes in the manufacturing of custom gears, machined parts and assemblies. Committed to excellence, every employee's top priority is customer satisfaction as well as continual improvement. Registered and Certified in accordance with ISO9001:2015 and AS9100D our team can not only get the job done, but done right. We also take pride in our equipment; few job shops have the equipment to produce parts as precise as GMI does, but even fewer have the equipment to check the tolerances we hold. 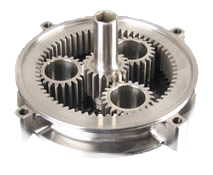 With tolerances as low as one tenth (.0001''), our instruments are accurately assuring the job is done correctly. The newest addition to our inspection department is the Legex 574, a CNC CMM with a total accuracy of 18 millionths (.000018). © 2013 All Rights Reserved Gear Manufacturing, Inc.